Las Vegas can be the perfect escape from everyday life. But sometimes, not everything that happens in Vegas stays hidden. 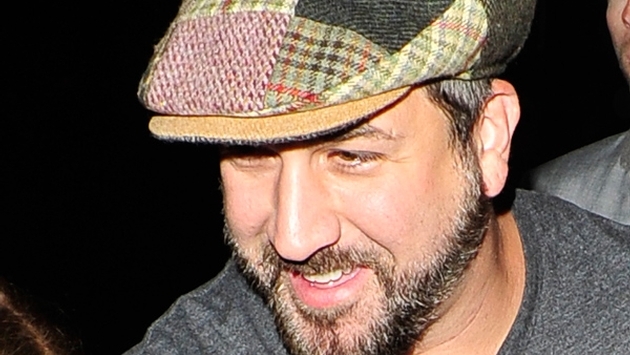 Former *NYSNC member Joey Fatone enjoyed a wild night out in Sin City earlier this month, according to Star magazine (via RadarOnline.com). Despite being married to Kelly Baldwin for ten years, the former boy bander was allegedly seen kissing a mystery blonde and not wearing his wedding band! All of this allegedly went down at Vegas hotspot Beacher’s Madhouse on February 8. Apparently, this isn't the first time Joey has been caught canoodling with another woman. Over the summer, it was reported that he and Kelly had been living apart because of his problems with infidelity. Joey reportedly hooked up with a fellow Dancing With the Stars castmate. At the time, Joey insisted he and his wife were just fine. “We’re still married … When you’re on top, people try to knock you down," he said. The couple have two daughters, Briahna, 12, and Kloey, 4. To reminisce a bit, watch footage from Joey and Kelly's wedding below. We have to ask — is the man to blame or is Las Vegas to blame?